Back yet again by popular demand, two highly knowledgeable legal experts will examine and offer personal judicial insights into the history of the Court, recent decisions and cases on the docket, and the future of the Court. The experts will provide a historical survey of the Court, examining its role as an institution, and will use recent and current cases to illustrate the various facets of the Court and its position as one of the three branches of government. They will offer their analysis of the recent changes to the bench and lead a conversation about the important implications. This three-day symposium will delve into recent and upcoming cases on state sovereignty, age discrimination, the 2nd amendment, and much more. Through readings, lecture, and roundtable discussion, participants will gain a more thorough understanding of the changing nature of the Supreme Court as it confronts the defining legal questions of our time. 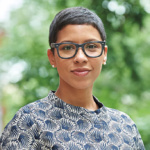 Melissa Murray, Professor of Law, NYU School of Law; Co-Faculty Director, Birnbaum Women’s Leadership Network; and former clerk for then-Judge Sonia Sotomayor of the U.S. Court of Appeals for the Second Circuit. 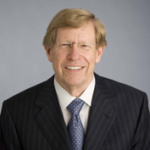 Theodore B. Olson, one of the nation’s premier appellate and U.S. Supreme Court advocates; Partner, Gibson, Dunn & Crutcher and founder of the firm’s Crisis Management, Sports Law, and Appellate and Constitutional Law Practice Groups; and former U.S. Solicitor General. *If you are not yet a member of the Society of Fellows, and have interest in joining, please contact the SOF Hotline.